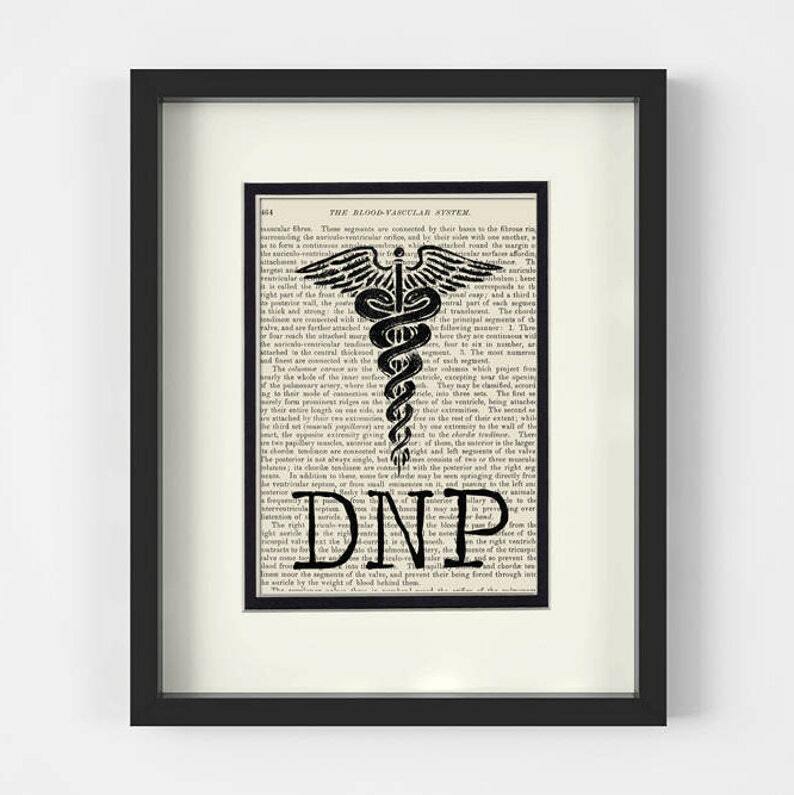 Doctor of Nursing Practice DNP Illustration. Vintage Anatomy Book Page Art Print. Mounted under an 8x10 creamy white mat with an inner black border. A unique one of a kind of piece of artwork. I will be giving this as a graduation gift. I am sure she will love it! Great quality!! And super fast shipping. Can’t wait to hang these up in my work space!